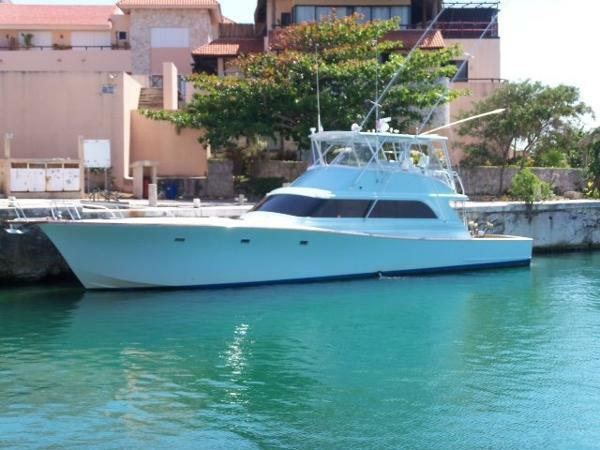 1993 Monterey Sportfish 65' Monterey Sportfish 1993Gandy Dancer Gandy Dancer is a captain maintained, custom sport fisherman with four staterooms (accommodating eight guests), three full heads plus the added benefit of highly desirable and dependable Caterpillar diesel engines. Like New 2003 Monterey 268 Super Sport Powered by Mercruiser, Bravo I for sale! This is a Mercury 6.2L with a 2.3L Whipple Super Charger. This boat has a Single Outboard Engine and has only 40 hours on the motor since it was rebuilt in 2014. The boat comes with a 383 cubic inch small block and has been stored indoors. Boat comes equipped with boat cover, wet bar/sink, AM/FM Stereo, and the convenience of a fully enclosed porta-potty/sink area below. Other features include navigation lights, transom shower, integrated swim platform, hydraulic trim tabs, and dual batteries and switch. Great for both fresh and salt water. 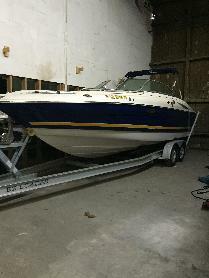 This boat comes with a 2007 EZ Loader Tandem Axle Boat Trailer. Please call 504-779-0234 or email mhenry@alcopeland.com for additional details.